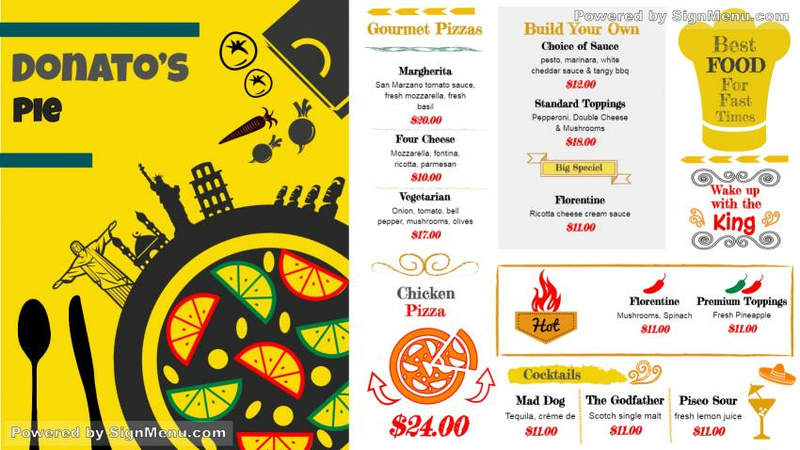 This template showcases the offerings of a pizza restaurant and is best presented on a digital screen at the entrance of the restaurant and indoors.. Please note the the white, yellow , black colors suggest a dynamic and a vibrant eatery, with a delectable spread. You too can use a template like this. when placed on a digital scree, the menu board will make heads turn, and your sales will zoom north ! Please download this template for edit or use.